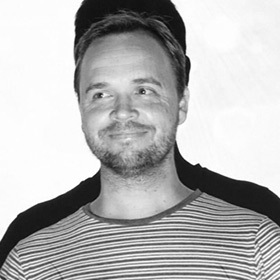 Hello, my name is Lachlan Nuttall and I design and develop beautifully engaging experiences for mobile and the web. Here is a selection of apps, games, animations and experiences I've created and contributed to. Allows users to create and export their own custom stop-motion videos. Features camera device locking, animated tutorials, video encoding and sharing. Users see a preview of their face ravished by the effects of the sun, including droopy jowls, sun spots, wrinkles and sutures. Features facial recognition, BOM UV data feed, social media integration and an advanced image distortion and layering process. Note: Awards were won by Mettro Digital. Features core location and mapping services, core data with restful API integration, offline caching and access token authentication. Runs across multiple platforms including Android, iOS, web, desktop, tablets and phone devices at 60fps. Programmed in Flash with traditional key frames and custom animation scripts. Optimised in Adobe After Effects. Features custom mapping modules, 3d globe, media galleries, annotation engine, extensive database integration, multi level user authentication and a unique customisable user interface. Note: Awards were won by Mettro Digital and Wiley. Graphing and quiz elements pictured were developed in house by Wiley. Features 3d animation, image manipulation and deep database and social media integration. Note: Awards were won by Mettro Digital and partner Circul8. The video section was done by Circul8. Features enemy AI, instant replay, live leaderboards and surfing gameplay reminiscent of California Games. Art direction and animation by the amazingly talented Daniel Button from Muse.